We landed in Panama in the late evening. There were bodyguards every where, men with guns and dogs as we drove to the Hacienda. The sun was starting to drop and I remember saying to myself, I have to fine a way to use the beautiful colors as a background in some of my photograph. 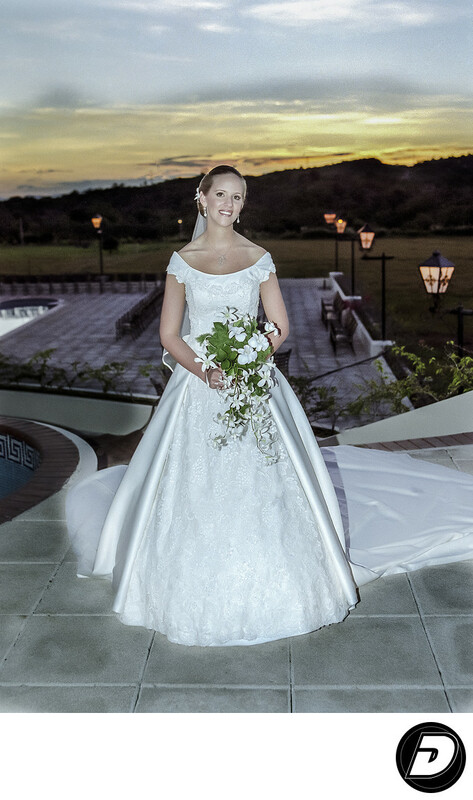 The bride was the right one for this amazing sunset of South America. I used Fujichrome film 100 with ASA 50 or like we say these days ISO 50. I under expose it one stop to get the rich colors & white whites.